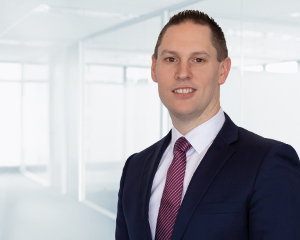 With more than a decade of experience in financial services including asset allocation advice for superannuation funds and personal finance management, Nic Kelly is a member of the Melbourne Family Wealth Management team. Nic provides advice to help new clients both in Melbourne and Perth who are setting up or transferring a self managed super fund to build their investment portfolio and assists all clients with the ongoing management of their portfolios. He provides tailored advice in line with the views and recommendations of the Investment Committee and clients’ goals and risk profile. According to Nic, he is the liaison between clients and the Investment Committee. “I am across all asset classes and help educate my clients about the Investment Committee’s recommendations and reasons behind the investments they’re recommending,” he says. Previously, Nic held roles with a fund manager and a financial education company and was a member of an investment committee. He has investment market experience in Australia and overseas. Nic has a Bachelor of Finance from La Trobe University, has completed the Advanced Diploma of Financial Services (Financial Planning) and is a Certified Financial Planner.